After a long and harsh winter, it’s important to assess your property for winter damage. Take a walk around buildings and your landscaping and make note of any damage to your roof, eavestroughs or other structures. You should also take note of any damage to trees, walkways, pergolas or water features that may have occurred as the result of ice storms, wind and snow. You may find that there are areas of your lawn that need repairing and plants and shrubs that may need replacing. In the spring, clean up any leaves or debris from your lawns to give your grass a chance to breathe and come back to life. Clear pathways and garden beds of debris to ensure safe passage and healthy growth in the season to come. Once the ground has thawed it’s time to mulch your flower beds. Getting a head start on mulching will help to protect your plants’ roots, keeping them moist and providing them with nutrients so they are strong and healthy. Mulching can also help to prevent weeds from taking hold. 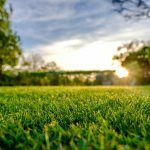 One of the most important things you can do for your condo property in the spring is to get your weed control program in place, before the weeds start to grow. It’s easier to keep weeds at bay before they grow, mature and spread throughout your lawn. Our Fiesta weed control program can help you enjoy a beautiful, weed-free lawn all summer long. Late March and early April are the perfect time to apply dormant oil to your plants and shrubs. Dormant oil is a horticultural oil that works as an effective pest control option for blister and rust mites, red mite eggs, scale insects, plum black knot and overwintering fungal diseases. If you noticed pests on your plants and shrubs last year, then it’s a good idea to treat them with dormant oil early in the season. The team at TLC Landscaping is here to help with all of your condo maintenance needs throughout the year. Contact us to learn more.